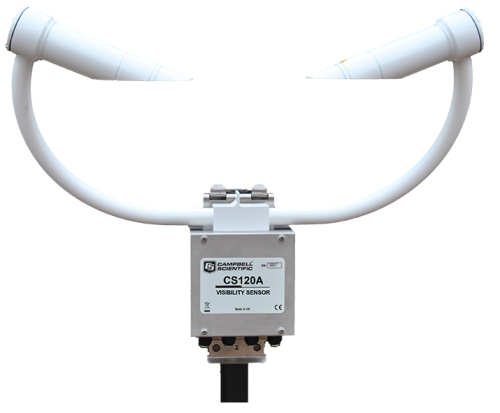 Campbell Scientific provides air quality and pollution monitoring systems built around rugged, low-power meteorological stations. These are in use at refineries, landfills, construction and remediation sites, and in many other locations where particulates, gases, or even odors need to be monitored. Measurements and data acquired by these systems can be used for compliance monitoring, alarming or notification, and air-quality and dispersion modeling. We offer a variety of products that can be used to create systems for Air Quality and Pollution. Many of the major components used to create these systems are listed below. Please let us know if we can help you configure a system. Our monitoring stations are based around a programmable datalogger (typically a CR800, CR1000 or CR3000) that measures the sensors, then processes, stores, and transmits the data. Our low-power dataloggers have wide operating temperature ranges, programmable execution intervals, onboard instructions, and ample input channels for commonly used sensors. Wind processing algorithms, including the Yamartino method of computing standard deviation of wind direction, are standard in the datalogger instruction sets. Our dataloggers interface directly to most sensors, eliminating external signal conditioning. Data are typically output in the units of your choice (e.g., wind speed in mph, knots, m/s). Measurement rates and data recording intervals are independently programmable, allowing calculation of 15-minute, hourly, and daily data values from 1-minute or 1-second measurements, for example. Atypical events can trigger alarms and cause additional data to be recorded. The program can be modified at any time to accommodate different sensor configurations or new data processing requirements. Channel capacity can be expanded using multiplexers. Almost any meteorological sensor can be measured by our dataloggers, allowing stations to be customized for each site. 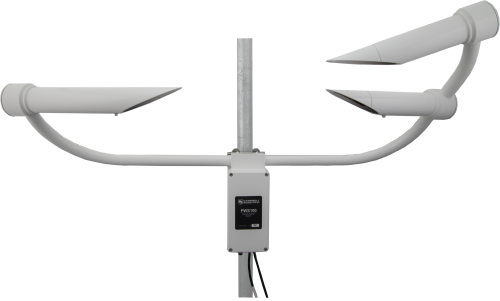 Typical sensors used on our stations include, but are not limited to: wind speed, wind direction, solar radiation, delta temperature (SRDT), air temperature, water temperature, soil temperature, relative humidity, precipitation, and barometric pressure. In some locations, hydrological sensors provide additional measurements, such as water quality of a nearby stream. A wide range of gas analyzers can be used with our systems. Many gas analyzers output a user selectable 1, 5, or 10 Vdc signal proportional to the concentration of the gas being measured. The datalogger measures the voltage directly and then scales the voltage into the appropriate concentrations, in ppm or ppb. Control ports on the datalogger are programmed to open and close solenoids to complete the daily self-calibration. Commerically available gas analyzers measure concentrations of SO2, H2S, O3, NOX, NO, NO2, CO, CO2, CH4, and THC (total hydrocarbon). The beta-gage type of particle sampler (PM10 or PM2.5) typically has a voltage output that our dataloggers can measure directly. Our dataloggers can also measure most flow sensors and opacity meters. On-board processing instructions use concentration and flow data to compute stack emissions. Sensors we offer include the 05305 for wind speed and wind direction, the LI200X or CMP3 for solar radiation, and the 43347 for air temperature. We offer multiple communication options for data retrieval which can be mixed within the same network. Telecommunication options include short-haul, telephone (landline, voice-synthesized, cellular), radio frequency, multidrop, and satellite. On-site options include storage module, and laptop computer. Our PC-based support software simplifies the entire monitoring process, from programming to data retrieval to data display and analysis. Our software automatically manages data retrieval from networks or single stations. Robust error-checking ensures data integrity. We can even help you post your data to the Internet. Our UT30 Instrumentation Tower (30 foot) meets PSD requirements.